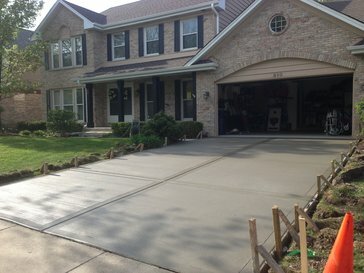 Are you looking for a reliable concrete contractor in the Chicagoland area that ensures quality concrete driveways and stamped concrete driveways? If so, Everlast Blacktop is the only company you need to know! After 25 years of experience, Everlast Blacktop knows a thing or two about concrete driveways, and you can count on us to be the concrete driveway contractor that will give you a competitive quote for your Aurora project. Try our online residential Instant Quote feature! Everlast Blacktop is a trustworthy concrete contractor for all concrete driveways and stamped concrete driveways. Aurora, Illinois is a suburban city in the Chicagoland area located in DuPage, Kendall and Kane County. Aurora has a population of approximately 198,000 and their motto is, “A City Second to None.” Don’t trust your concrete job to just anyone, at Everlast Blacktop we guarantee that as a concrete driveway contractor that we are knowledgeable and experienced. Everlast Blacktop has built a reputation for being an elite concrete contractor that can tackle large or small concrete driveways or stamped concrete driveways with excellence. Everlast Blacktop will make it possible to get quality workmanship and timely completion of all concrete projects because we are a concrete driveway contractor that delivers on customer satisfaction on every job. Give us a call today at (630) 855-5572 if you have any questions about our services and how to get a quote.